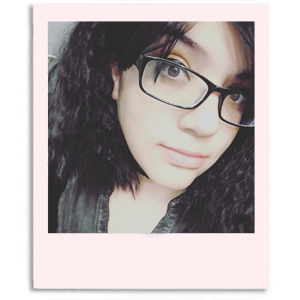 Hiya guys, how's it going? Yay for the weekend. No idea what I'm going to be doing except for sleeping in a lot, which is always fun in my opinion. 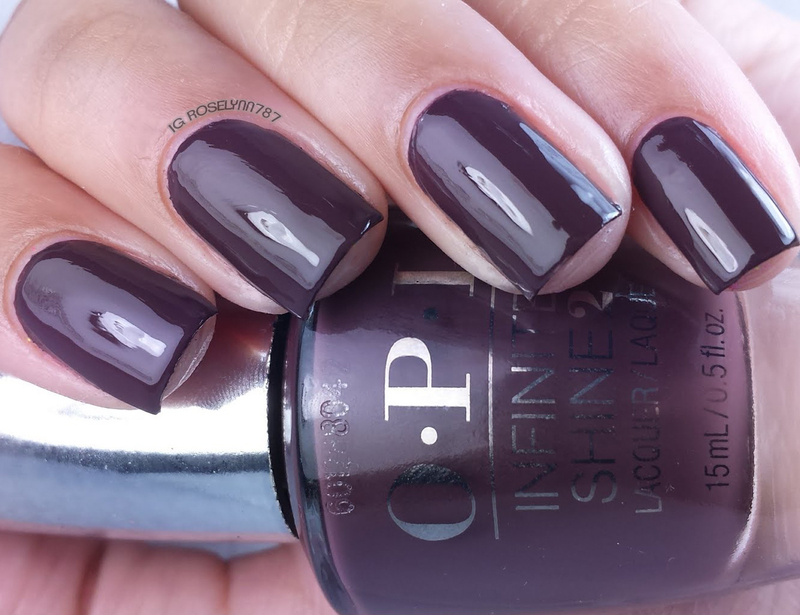 But for today I'll be showing you the remaining shades from the OPI Infinite collection sent to me by Preen.Me VIP program with OPI. If you missed out on last weeks review, be sure to check out part one here. With the shades, I'll also be talking briefly about the OPI Infinite Shine Primer base and the Gloss that are recommend for long-term use. 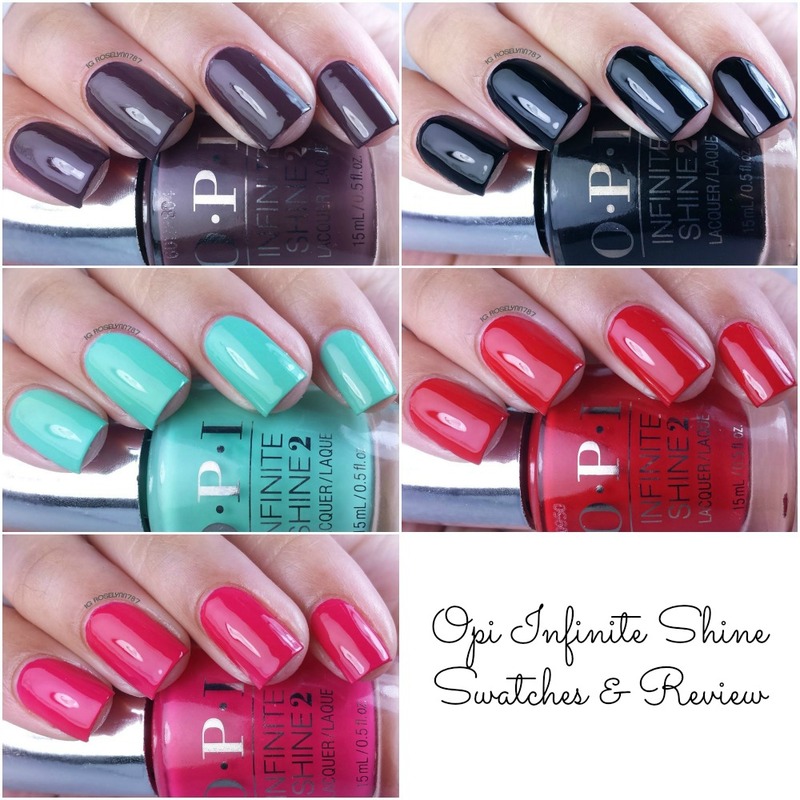 Through the month of April, Preen.Me has partnered up with OPI for the Infinite Shine Challenge. 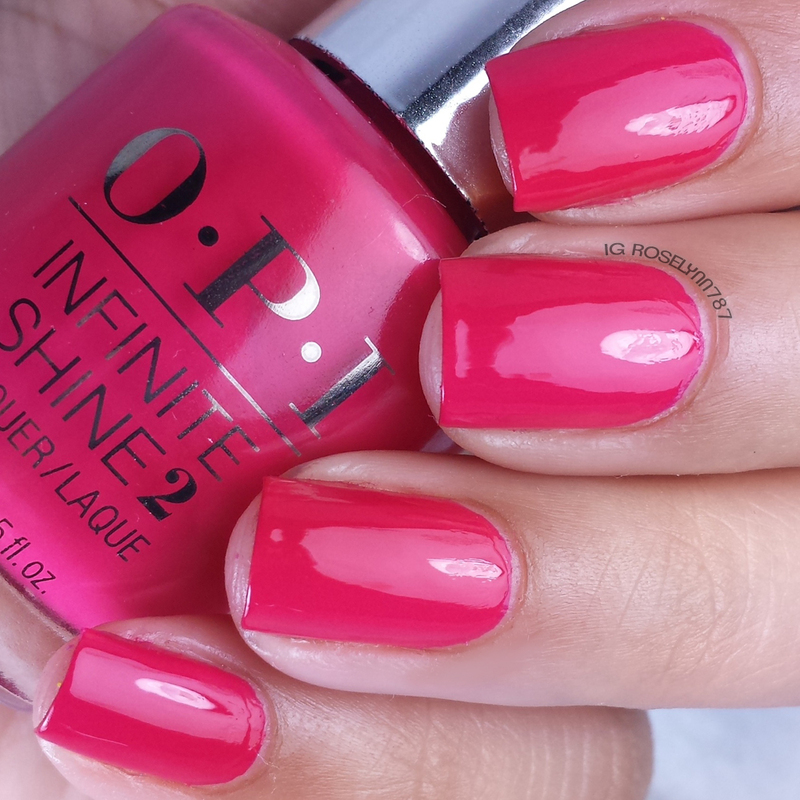 See all the beautiful entries submitted by artists on Instagram by using the hashtag 'InfiniteShine'. You can also find more information on the challenge and about the prizes by visiting Preen.Me on Instagram. 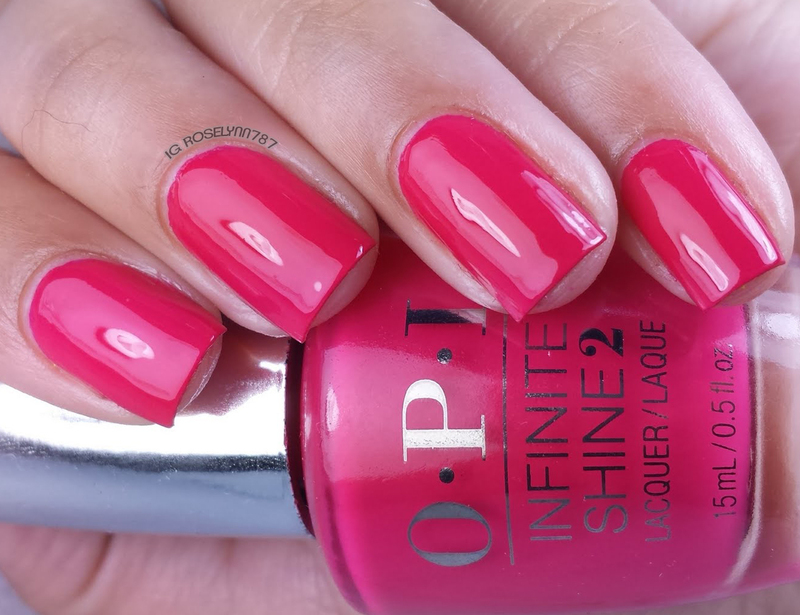 Running with the In-finite Crowd is a bright pink creme polish. Standard bright pink, it didn't thrill me too much when it comes to the shade. What did blow me away, however, was the exquisite formula. Nice, even consistency that was neither too thick or too thin. Swatched here over the primer base are two thin coats and sealed with the Infinite Shine gloss topcoat. 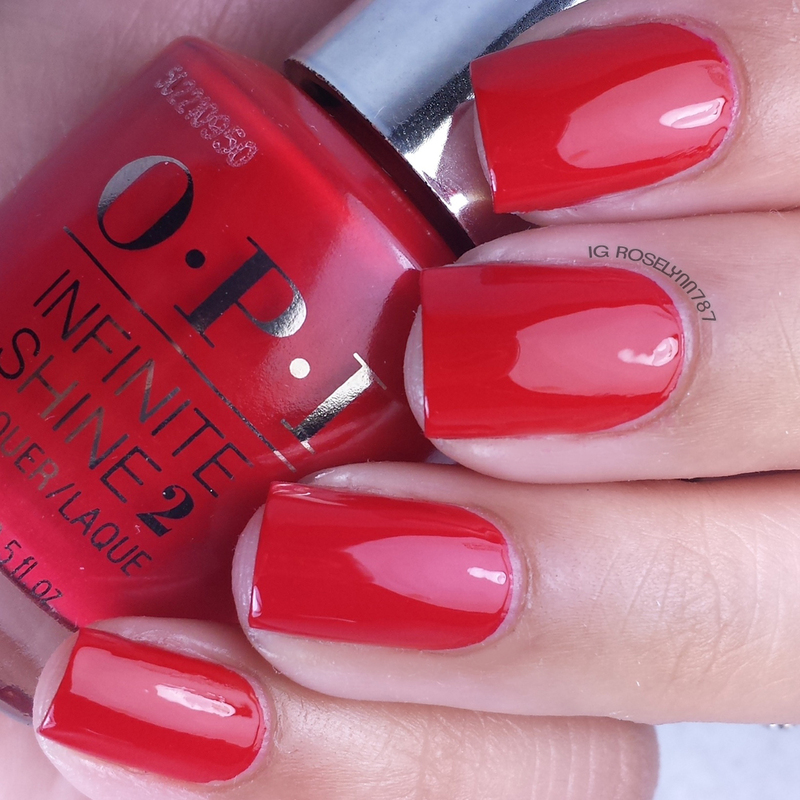 Unequivocally Crimson is a popping cherry red creme polish. As a huge fan of the color red, I definitely give this one my stamp of approval. It's gorgeous and luscious to wear on its own. Best part about it though, it stamps! Great formula and consistency, applied smoothly without any issues. Swatched here over the primer base are two thin coats and sealed with the Infinite Shine gloss topcoat. We're in the Black is the classic onyx black creme. There's not much to say about a straight black color, although no collection is complete without one. Most of the time we base our likability on the formula not brand because we use it so frequently. I'm happy to say the formula and consistency are fantastic all around and it applies very smoothly. I can definitely see this polish stamping and marbling well, but it's not something we'd probably want to do considering the price tag. Swatched here over the primer base are two thin coats and sealed with the Infinite Shine gloss topcoat. Withstands the Test of Thyme is an aqua green creme polish. Definitely the favorite among all the ones that were sent to me and my pick as must-have. If this doesn't scream Spring I don't know what does. I feel like there might be a few dupes out there, but I personally don't have a dupe for it in my collection. Formula and consistency were spot on just like the others in this half of the review. No issues applying and it's very opaque in a single layer. Swatched here over the primer base are two thin coats and sealed with the Infinite Shine gloss topcoat. Never Give Up is a chocolate brown creme polish. Personally, I'm not feeling the color too much although I will say it's different from the standard brown which is nice. I know you can see some streaking in the swatches, but this is not from the polish itself but rather the gloss topcoat from the Infinite line. Formula and consistency were identical to the majority of the colors in this half of my review. Swatched here over the primer base are two thin coats and sealed with the Infinite Shine gloss topcoat. 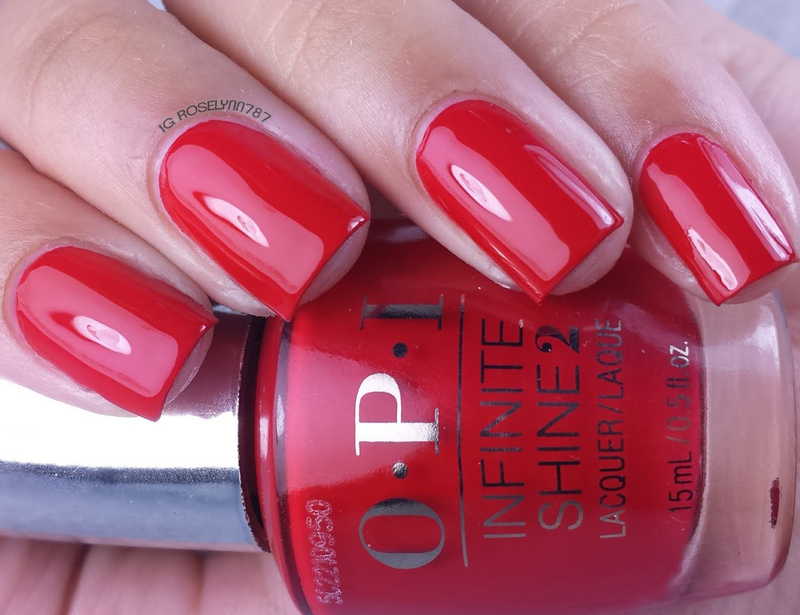 Now let's discuss the much talked about primer and gloss that are recommend for the long-term use of the infinite shine line by OPI. The Primer is intended to be used as a base coat for the gel-like polishes and also cleanses the nail for a smooth application. I found the formula to be a little too thin causing it to flood my cuticles. The Infinite Shine Gloss topcoat was definitely a big let down for me. If you don't use a thick amount of gloss it tends to cause noticeable streaking (you can mostly see this in my swatch of Never Give Up). In addition to this, the gloss does not deliver a long-lasting shine and I found my nails looking dull after a day of use. Definitely frustrating after getting such a nice looking mani from the creme shades in this line. Overall though I'm a big fan of all the creme polishes in this half of the review. I didn't experience any concerning formula issues and had even found a lot of these to stamp extremely well. Yay for multi-tasking polishes. I'm not someone who wears polish normally any longer than two days so testing longevity was not possible. The only thing I can really comment on is that I did not experience chipping within those two days of wear. 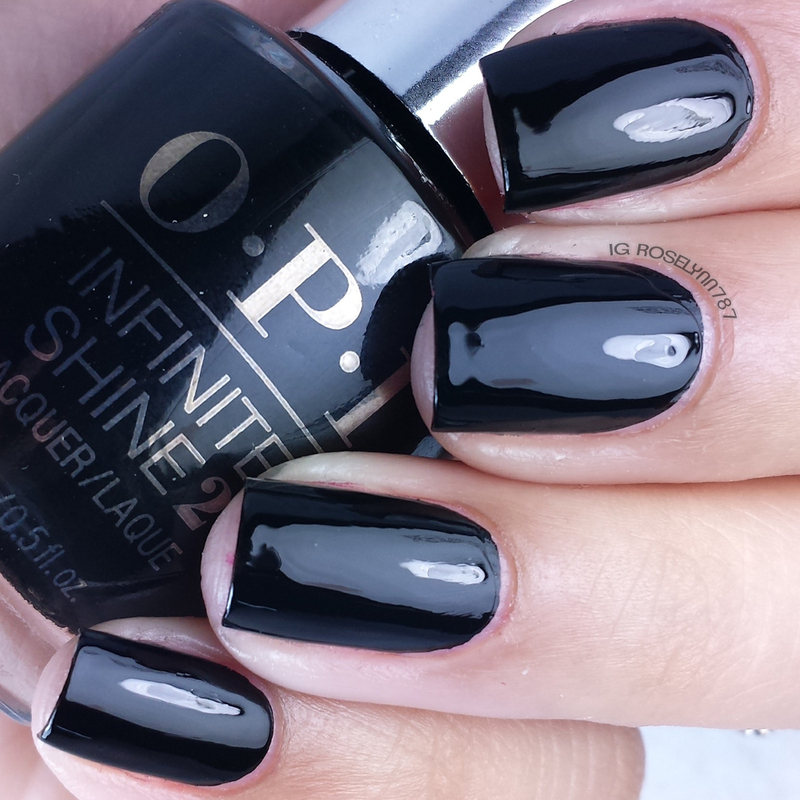 But tell me guys, have you had a chance to try out the OPI Infinite Shine line for yourself? O.P.I. is my new favorite polish. Their colors are great and it looks like it can really stand up. Oh opi is a really great brand! I've used it when I do my nails! I love that teal looking one it's absolutely my fave color! These are all great! Such beautiful colors. I need to get some better nail polish, mine is always peeling. I will ahve to check out this brand, thanks for sharing! If I owned all of these colors I'm not sure I would be able to pick just one. Each one of my fingers would be a different color. OPI has long been my very favorite nail polish. The colors are always so beautiful and the names of the different colors always makes me smile. I love them all! I have never tried OPI yet but then again, I seldom paint my nails so that's explains it lol. 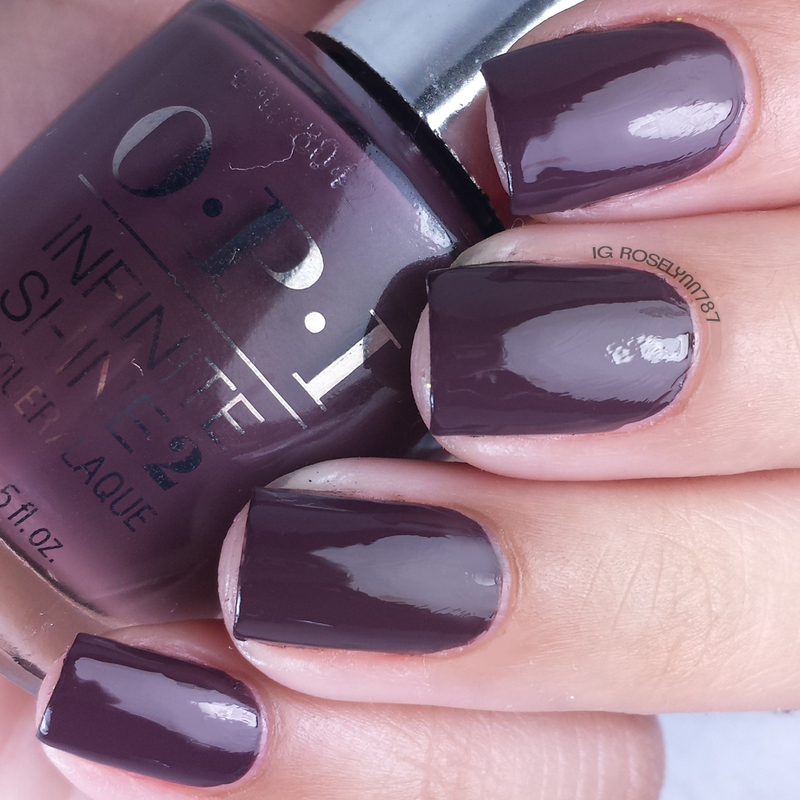 I haven't tried Infinite Shine but I love CNDs similar line of gel-hybrids, Vinylux. I was hoping these where equally good but the top coat doesn't sound great. Great swatches! These shades really have a great gloss to them. I am loving the blue shade, so perfect for spring! 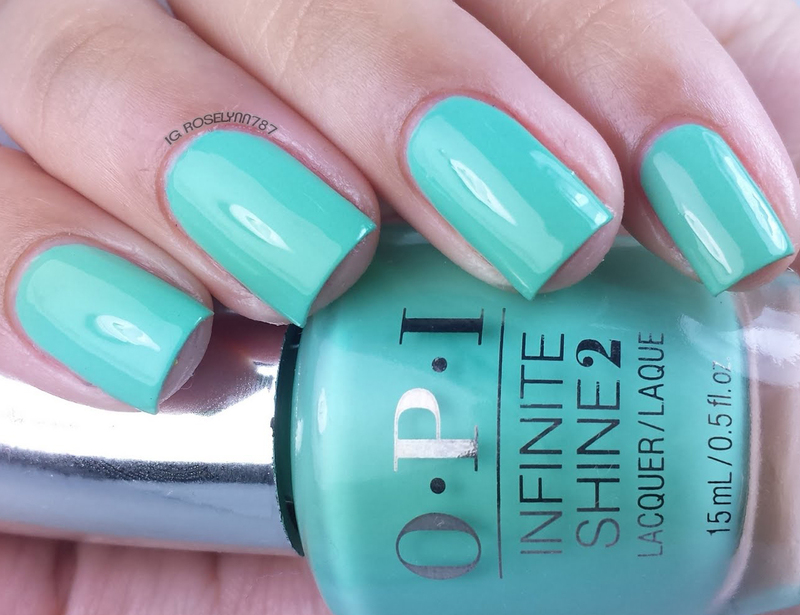 That teal is gorgeous! Great swatches and review! Wow, it's definitely got the right name. That shine is amazing. I like the different colors. I haven't tried any of these yet but I'm in love with the Withstands the Test of Thyme color. So pretty! Gorgeous swatches - shame about the flaws in the system. Is it terrible that my eyes went straight to that black? Looks amazing. The other colours really suit you too. I am not into wearing blue myself, but the Withstands the Test of Thyme color is really calling my name. Looks like a high quality nail polish line overall. I love OPI, it is the only nail polish that I use, even when I go to nail salons. Such great quality and vibrant colors. The blue is seriously beautiful! OPI is the best and I love everything they come out with! I haven't tried the Infinite Shine yet but it's too bad the top coat is troublesome. I wonder if these work with regular quick-dry top coat. I especially LOVE Withstands the Test of Thyme on you - such a fun shade! I can't decide which color I like best. I love them all! That blue color is so pretty! I am loving how shiny they are! I need to try some of these OPI! These are all pretty, I don't think I can pick a favorite. Beautiful nail polish colors, especially the black. Black nail polish always been one of my favorites since it is sophisticated and mysterious. Withstands the Test of Thyme is stunning!!! These are all beautiful colors. Withstands the Test of Thyme is my favorite in this collection. I love how well OPI polish stays on. OPI makes amazing polish. I was a Nail Technician for years and OPI was the only brand we used. I love Running with the In-finite Crowd for the summer. I like the red and aqua! These designs are so very beautiful! I love the bright colors most. The only bold colors that I got to try on my nails were red and black. The ones you got here were all so pretty especially the crimson one. Withstands the test of Thyme looks so pretty! I will pick it up if I ever come across it.